Enter Britain. Poland is a natural ally for Britain, considering that both countries are, in different ways, challenging the status quo on the Continent and Brussels’ authority. Britain can offer Poland a number of benefits in a partnership, including defense cooperation. Although Warsaw is a member of NATO, it has chosen not to rely solely on the alliance for its security, cultivating bilateral defense relationships with key countries. Poland’s closest defense partner is the United States, which has, for example, supplied Warsaw with Patriot missiles. But supplying weapons is one thing; providing military support during a crisis is another. Poland therefore is looking for bilateral ties with other countries closer to home, and Britain is chief among them. In December, the U.K. and Poland signed the Treaty on Defense and Security Cooperation, in which they pledged to coordinate on a number of fronts such as cybersecurity and strategic communications. The dollar is back, and those who had always kept the faith in the currency are running a victory lap. With bells on. The dollar index, which tracks its value against a basket of other major currencies, is now up by 2.4 per cent from the middle of this month to reach its highest point since early January. The euro, meanwhile, continues to sink in the wake of the latest European Central Bank press conference, which delivered a note of caution, albeit measured caution, over the region’s economic soft patch. The amount of ridicule, malice and criticism my colleagues and I had to face over the past months, was overwhelming! Our view that the dollar depreciation in December and January was fundamentally unfounded, that the market would not be able to ignore the dollar-positive arguments forever and that therefore we would see a recovery of the US currency was rejected by many: by readers, by clients, by colleagues. I have to admit that in view of a wall of dollar bears I too had my doubts sometimes — as I am happy to admit. Perhaps everything really was going to be different this time round? Perhaps I had overlooked important arguments or mistakenly dismissed them as circumstantial? Perhaps the whole approach of our FX analysis was incorrect after all? So it makes me particularly happy to see that the development of the markets is now proving us right. All these fabricated, sometimes absurd arguments that were used at the start of the year to extrapolate and justify dollar weakness have collapsed (a) because they are devoid of content and (b) because the development of the exchange rates can no longer disguise the fact this fact. As a result the dollar recovery is a self-perpetuating process. In a way it could be claimed that the dollar weakness was a speculative bubble that is currently bursting. A Fed that is on track for several more interest-rate rises this year (compare and contrast with the ECB) and robust US inflation both mean that the buck can keep climbing from here, he said, quite aside from the rise in US bond yields, which he considers to be a distraction. Michael Sneyd at BNP Paribas, meanwhile, argues that fickle traders have abruptly latched back on to signals from the US bond markets as a driver for the buck. “US rates didn’t matter for the dollar, now they do,” he said, adding that bets against the currencies are now folding under unbearable pressure. We do not see events over the weeks ahead triggering a return to the weaker dollar theme, unless the FOMC delivers a dovish surprise on 2 May, which we consider unlikely, or April’s non-farm payrolls disappoint sharply (again, we do not expect this). 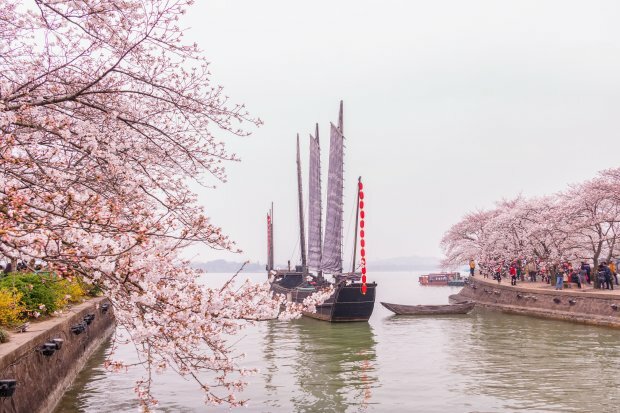 Rather, we view that a catalyst for a euro or yen recovery would need to come from Europe or Japan in the coming weeks, which also appears unlikely. “It has been a tough week for those short dollars,” the bank adds. HSBC’s David Bloom says he expects the euro to sink to $1.15. Cyclical drivers are becoming dominant again, pointing to dollar strength as the Fed tightens and others hesitate. Investment banking yielded surprises at Deutsche Bank and Barclays in the first quarter of 2018: the former’s revenue looked as horrible as the latter’s did outstanding. However, neither of Thursday’s results gave much clarity to investors. It isn’t clear that Deutsche can stop losing market share, or that Barclays is really regaining much. 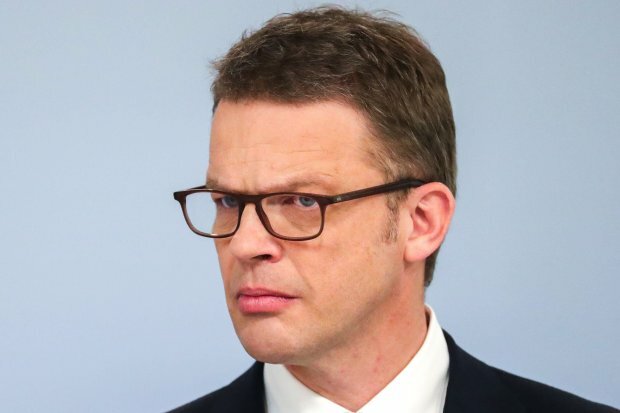 Big questions remain about where they go next—and at Deutsche whether the new chief executive, Christian Sewing, really can make any big changes. 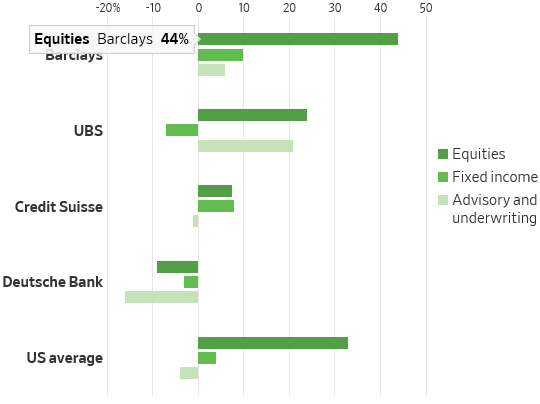 Barclays saw some of the best first-quarter revenue gains in equity and bond trading of any bank, but its true performance was somewhat obscured. The U.K. bank might look good partly because it did much worse than rivals in the comparable period of 2017. However, there is another tricky element: It moved some funding and hedging costs to its head office from the investment bank and that may have flattered this quarter’s revenue. Deutsche, on the other hand, was obscure in its intentions more than its numbers. Mr. Sewing, just two weeks into his new role, brought a sterner, sharper tone to match his pledges of speed and clarity in making changes. However, the detail was absent. The investment bank will see “material” cuts to staffing—the numbers aren’t clear—and the U.S. and Asia will bear the burden because that is where Deutsche does less profitable business that is less connected to the rest of the bank. Deutsche’s first-quarter numbers underlined the need to act. The bank suffered its wearily familiar problem: revenue fell across the group and costs rose. This isn’t the way to boost returns. The investment bank led the declines with an even worse performance than had been feared. Bond trading did worse than rivals and Deutsche suffered the ignominy of being the only bank to have lost revenue in equities trading at a time when heightened volatility gave almost everyone else a major boost. The fear for investors is that as managers take their scythes through the investment bank again, more front-line bankers and traders will walk away and take revenue with them. And Deutsche won’t be able to cut other people and costs fast enough in response. The bank has little financial room for maneuver: its profitability is thin, limiting the extra costs it can bear for restructuring. Radical change might just be unaffordable, whether it is wanted or not. The biggest problem for Deutsche, Barclays and other European banks is that they are still trying to sort out their investment divisions, while their U.S. rivals enjoy higher profits and perhaps regulatory easing. It is tough to make repairs when the race is under way. Growth was 6.8% in the first quarter, the government announced Tuesday, just a hair lower than in 2017 as a whole. Key indicators like electricity output and construction investment ticked up as companies took advantage of easing seasonal pollution restrictions. Source: CEIC, Thomson Reuters*Weighted average lending rate. A quick look at China’s lending market shows why. 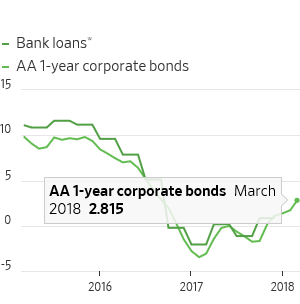 Real yields on AA-rated corporate bonds—issued mostly by industrial and real estate companies—rose to nearly 3% in the first quarter, according to Thomson Reuters, while real bank loan rates likely hit 2%. Those rates are still far below the 7-10% levels seen when debt defaults peaked in early 2016. But if producer price inflation keeps slowing—it hit a 17-month low in March—real rates could be in that neighborhood by early 2019. The key question appears to be how deep and effective China’s much-celebrated “supply side reforms” have really been. If enough excess capacity has been eliminated and housing inventory sold down, then producer price inflation will remain healthy and Beijing won’t need another massive stimulus to push prices back higher and stave off defaults. Either way, it’s likely to be a trickier next twelve months than indicated by Tuesday’s smooth growth figure. Silicon Valley is pouring venture capital into startups that use cultured animal cells to grow meat. The hope (now backed with hundreds of millions of dollars) is that they’ll someday replace corn fields, feedlots and slaughterhouses with football-field sized vats from which an entire city’s hamburgers and chicken nuggets emerge sans animal suffering or land degradation. Most people would probably say that as long as the taste, nutrition and price are comparable to traditional meat, the more the merrier. Let the competition begin. LINCOLN — Nebraska Farm Bureau is urging the United States Department of Agriculture (USDA) to not use the term “meat” when referring to all lab-grown and plant-based meat alternatives. The request to limit the definition of “beef” and “meat” to only products from live animals born, raised and harvested in the traditional manner comes from a strong movement to develop and commercialize alternative protein products, particularly “clean meat,” also called lab-grown or cultured meat, as well as plant-based proteins. – Limit the definition of “meat” to the tissue or flesh of animals that have been harvested in the traditional manner. – Limit the definition of “beef” to products from cattle born, raised and harvested in the traditional manner. – Add the definitions above to FSIS’s Food Standards and Labeling Policy Book. This is of course way off the “global financial crisis” beat, but it does illustrate a point that will become important as things spin out of control: Common-sense solutions to the implosion of the world’s fiat currencies/fractional-reserve banks/military empires, including big cuts in pensions and entitlements, the end of overseas military commitments, and the immediate adoption of sound (ideally gold-backed) money – will be met by entrenched interests standing in the way, demanding the equivalent of Big Beef’s silly definitional protection. Hardly anyone gives up power voluntarily, and today’s system has handed immense amounts of power to a small group of bankers, central bankers, politicians and bureaucrats who can now create money out of thin air and use it to enrich themselves and their friends. This explains the willingness to pervert formerly free markets by depressing interest rates and gold while elevating stock prices beyond levels that investors would normally accept. So expect more market manipulation, increasing regulation of cryptocurrencies, and never-ending war to prop up the petrodollar, all in the name of preserving a status quo that – based on the amount of debt necessary to sustain it – can’t last much longer. The coming decade will be defined in part by how tenaciously these guys hold onto their losing hands when they should be folding.